I have walked many paths in this lifetime. I have done many things. You could call me Jack of All Trades. On the road with Selenite crystal, we travel to many different cities, but none more sacred than Salt Lake City, Utah. As you approach the city on a clear sunny day, the sparkle of the Temple at the city center is surreal. A pure white light seems to emanate from the Temple itself. My primary mission this trip, after participating in the Body, Mind Spirit Expo, is to find the truth behind the rumors that the Salt Lake Temple is covered with Selenite. I was highly doubtful yet somehow hopeful the rumor was true. Salt Lake is a more highly diversified city than one would expect of a population that is nearly half LDS. A mecca for the Mormon religion, Salt Lake is flooded with followers and the cultural diversity is vast. This desert oasis is vibrant and alive. The people are warm and welcoming. Whether you visit for the history, architecture, faith, natural beauty or recreation, Salt Lake City will not disappoint. Sunset dinner above Temple Square at the Garden Restaurant, Salt Lake City, UT. When we are not digging for hidden treasurers we can often be found on the metaphysical circuit, staffing our booth at shows. In Salt Lake City, a frequent question asked was, how I reconcile this belief with my faith. I have to admit; this is a good question and years ago I wrestled with this very issue. It was unsettling. A wise old woman once told me, we are each born with our own gifts. In and of themselves they are neither good nor evil. It is how we use our gifts that make the difference. My answer now…I was born this way. To ignore or suppress your gifts can only cause internal turmoil. Our Creator blesses us each with our own gifts for a reason. I now live quite comfortably within my own skin in harmony with my Creator. It was also here, in Salt Lake City, that I was introduced to the term ‘Jack Mormon’, someone inactive in the church or not adhering strictly to Mormon tenets. This is not the worst definition by any means. I will concede to this title, I am strong in my faith but I don’t exactly fit in. Dinner with friends, from the BMS Expo, at the Red Iguana 2 downtown Salt Lake City, UT. After the show, we spent a day and a half exploring downtown before wandering into the mountains. Glass ceiling in the Conference Center. The night time view of Thorvaldsens Christus from outside. The most AWESOME book store ever. Home of the Mormon Tabernacle Choir. Temple reflection in the fountain. Eating BYU Ice Cream at the Nauvoo Cafe. The truth about what powers that supernatural emanation of light from the Temple…its quartz monzonite. The quartz reflects the sunshine to give the Salt Lake Temple that amazing glow. Quartz monzonite, which is often mistaken for granite, is more finely grained. Both are extremely hard, durable, igneous rock formed as magma cools slowly underground. The long process allows for larger crystalline structures to form. Twenty miles southeast of Salt Lake City lay Little Cottonwood Canyon in the Uinta-Wasatch-Cache National Forest. The steep walls of the canyon were carved during the last ice age when a massive glacier covered the basin. Glacial weight fractured the cliffs and when it started to melt and slide down toward the valley, it carried massive boulders along with it. The climb is very steep with an average Grade of 7.1%. I would recommend a lower gear while making your descent so your breaks don’t catch fire like mine seemed to. On the upside, it gave Samantha and me time to go creek walking while Cherry cooled her heels along side the road. Heading into Little Cottonwood Canyon. Sam found hearts in the creek. Sun getting low in the sky. Sunset over the Wasatch Range. Not far from the mouth of Little Cottonwood Canyon, the Temple Quarry Trail marks the site of the quarry. 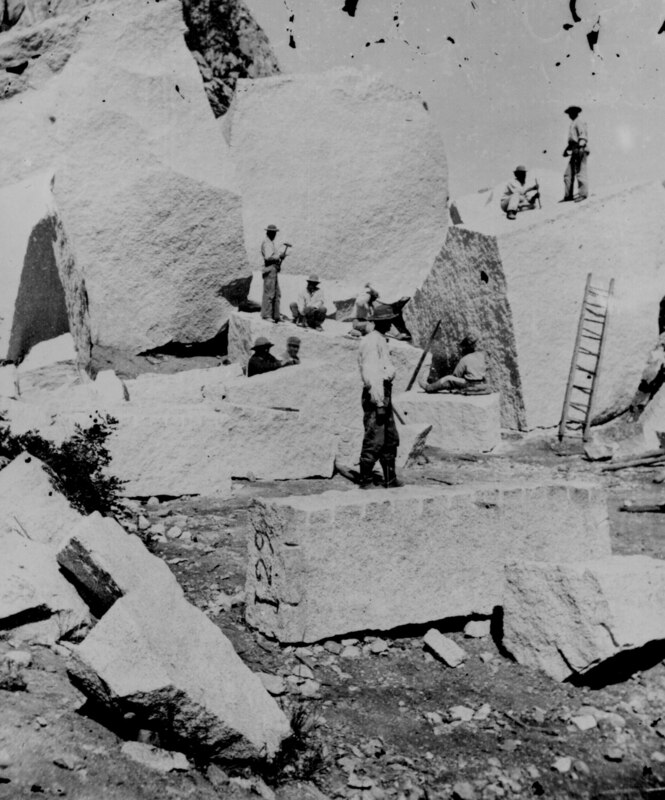 Temple Granite, as it came to be called, was quarried for the temple in the early 1800’s by Mormon pioneers then hauled the distance by oxen drawn carts, an amazing feat for the times. Daylight was running short and we missed the Temple Quarry Trail, but it’s at the top of the list for our next SLC trip. Check out 101 Things to do in Salt Lake City for a list from a true Salt Lake native. I wish I had found this blog before our trip.